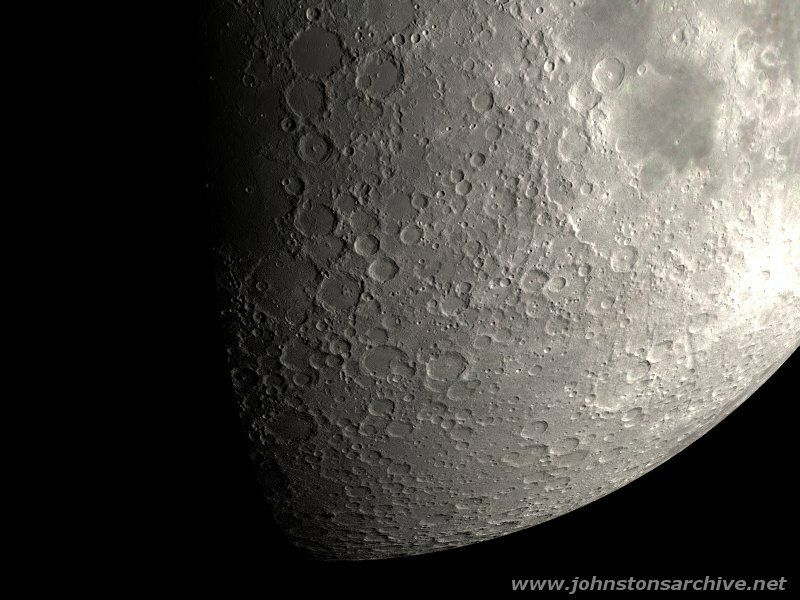 Closeup of the south central part of the lunar nearside, including the rayed crater Stevinus (far right) and Mare Nectaris (upper right). 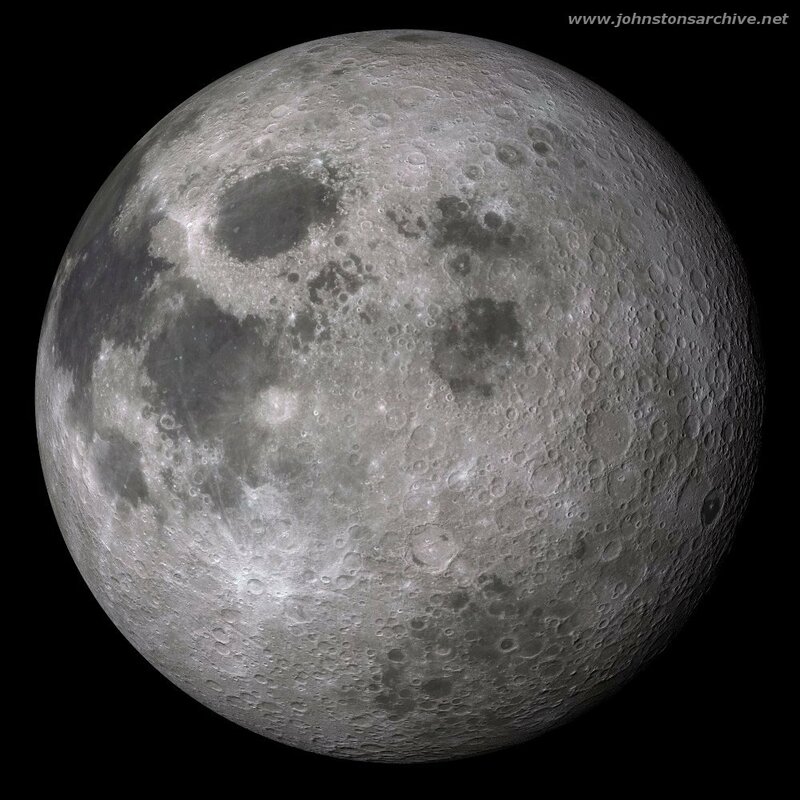 View of the Moon's north polar area similar in perspective to a photomosaic from the Galileo spaceprobe obtained 5 Februry 1996. 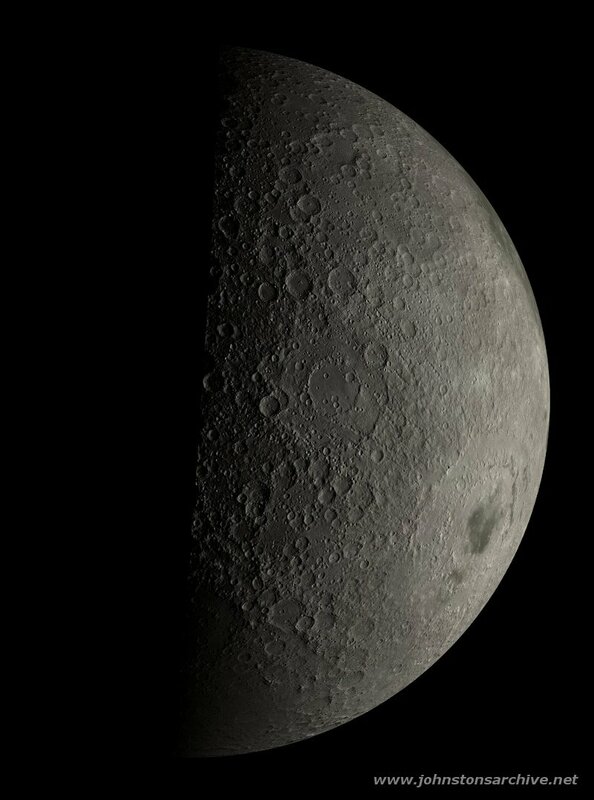 View of the lunar farside, with Mare Orientale visible (right). 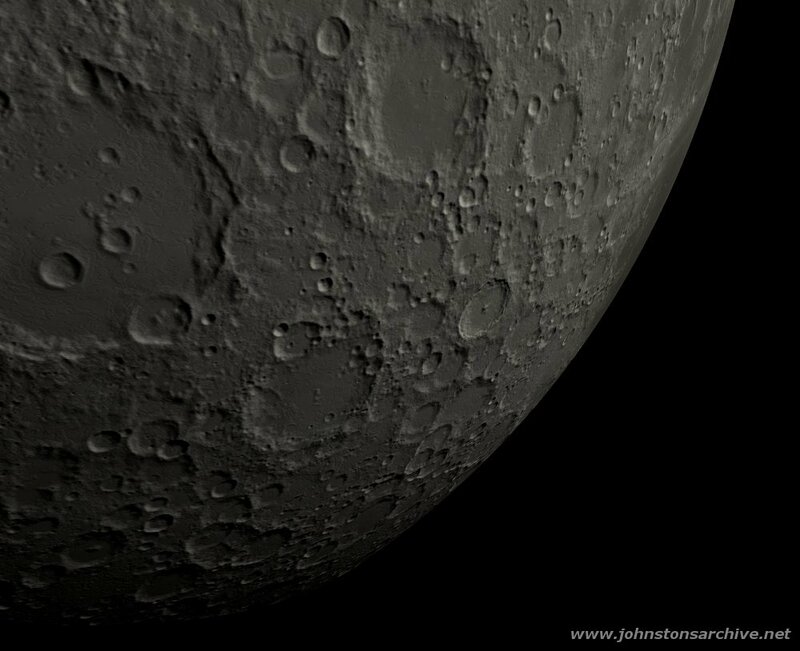 Closeup of part of the lunar nearside, showing craters Clavius (left edge), Maginus (below center), Longomontanus (top center), and Tycho (right of center). 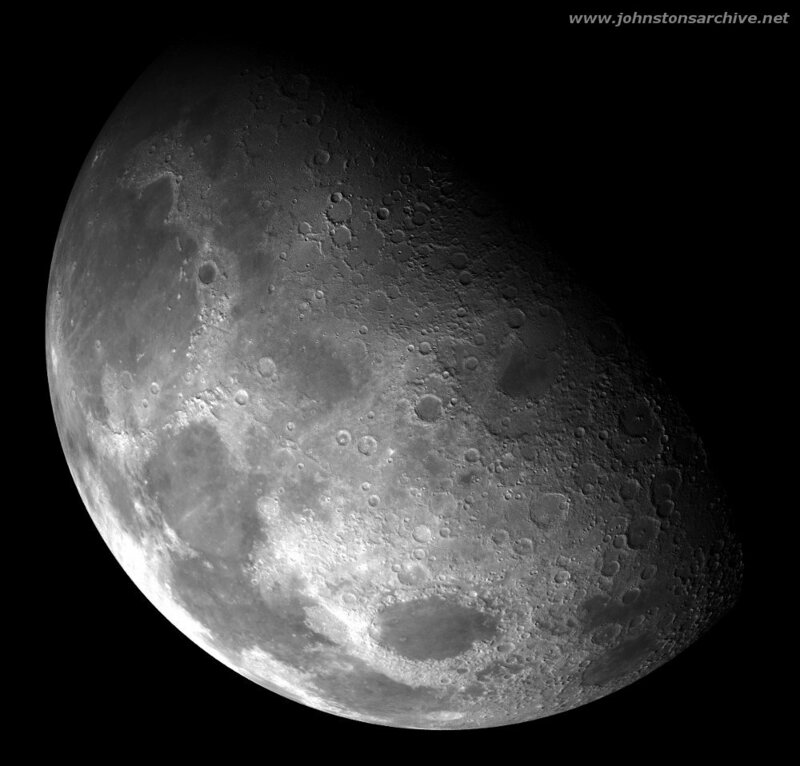 Closeup of the Moon showing some of the ejecta rays radiating from crater Tycho (lower center). 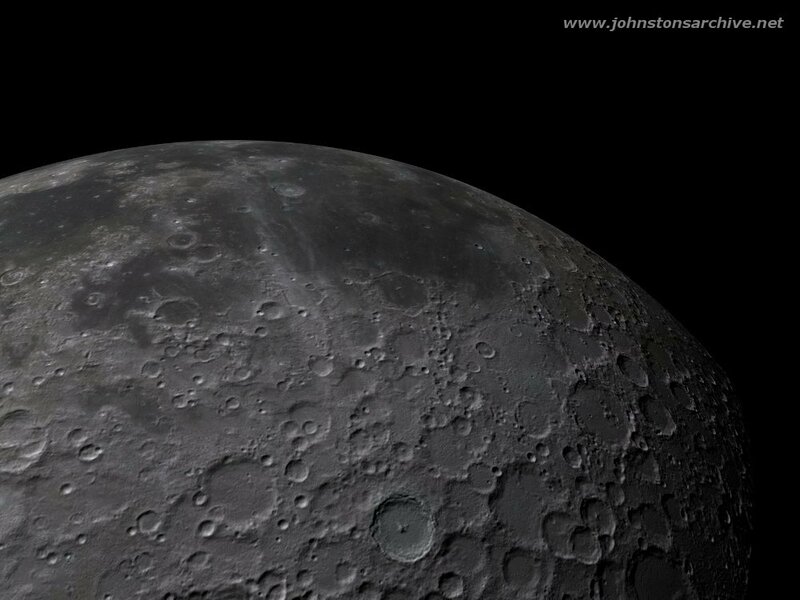 View showing the western part of the lunar nearside (top) and some of the lunar farside, with Mare Orientale. (left of center). North is to the left. 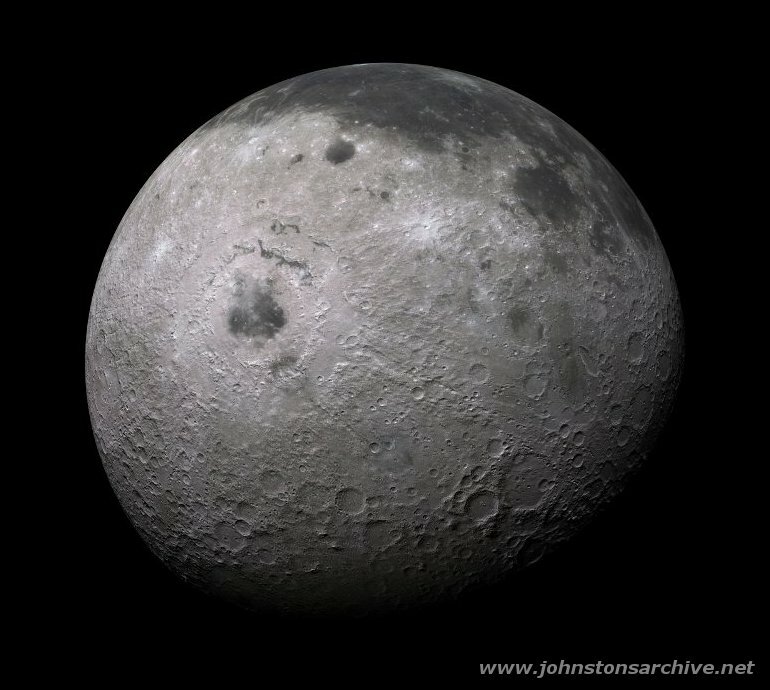 View straddling the lunar nearside (left, center) and part of the farside (right). Crater Tsiolkovskiy is just visible (far right). 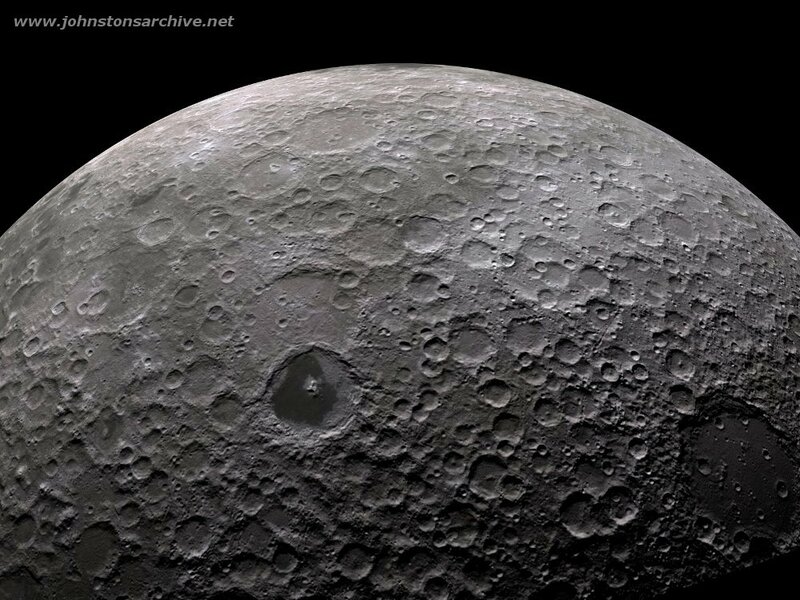 View of the lunar farside, showing the lava flow-filled crater Tsiolkovskiy (just below left of center). 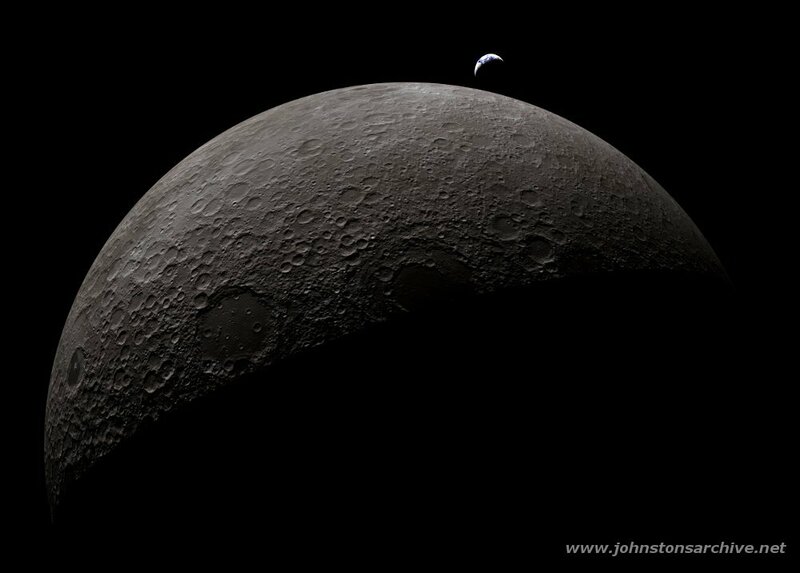 View of the Moon with the Earth beyond.